Oxford’s open lectures were viewed by millions of people in an Apple iPad TV advert, which aired for the first time in the US on Nov 1st across all major networks in prime time, including during the adverts for a World Series game. The iPad advert was shown in the UK from November to January across all commercial channels. 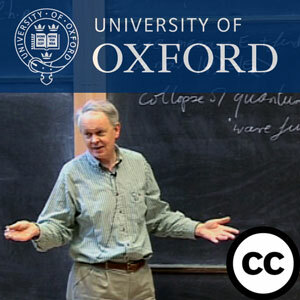 The advert features a few seconds of one of Professor James Binney’s Quantum Mechanics lectures which form part of Oxford’s OpenSpires content released under a Creative Commons licence. When advertised the lectures jumped up to number 4 in the iTunes U top downloads chart alongside 3 other Oxford podcasts in the top 10 (all released as OER under a Creative Commons licence). “Outstanding Course! Everything about this series is first rate. Professor Binney is excellent” … “I would highly recommend this course to anyone with a serious interest in learning Quantum Mechanics.” Dennis F, Massachusetts, USA.